Colored Edge cards will move your cards to TOP OF WALLET. 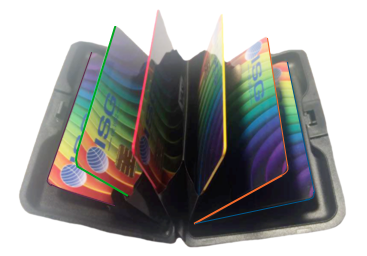 Colored Edge on card stock can offer your financial institutes or membership organization a way to differentiate the appearance of your cards. Our Gilded Colored Edge Technology adds color on the four edges of your PVC cards. Add a POP of color to all four edges of the card. Something that use to be reserved for the Tier 1 banks and large card orders. Choose from a diversified range of fourteen colors (from primary colors to metallic ones). 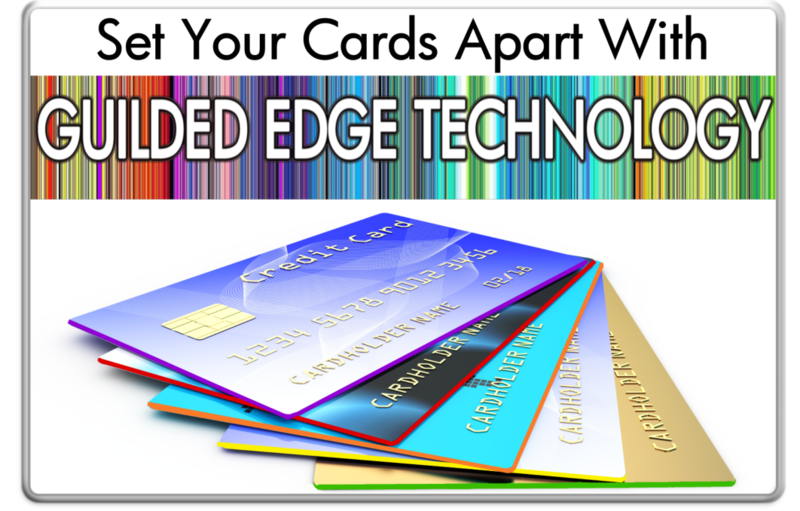 Color coating all four edges of your card automatically makes it stand out from the other ones in your wallet.